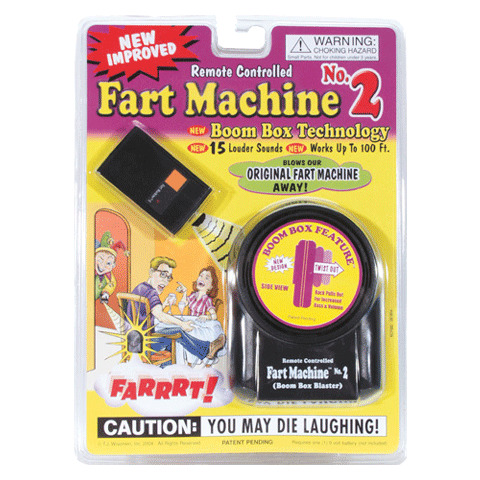 Today, when you order "Fart Machine", you'll instantly be emailed a Penguin Magic gift certificate. You can spend it on anything you like at Penguin, just like cash. Just complete your order as normal, and within seconds you'll get an email with your gift certificate. 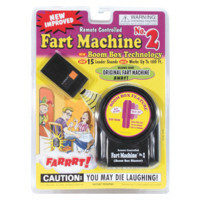 Fart Machine The REMOTE CONTOLLED replacement for the Whoopee Cushion is here! This high tech machine is sure to embarrass your victim whenever the mood strikes you. Use it at parties, school, movies, the office, in a baby's diaper or in the Thanksgiving turkey! The high tech, easy-to-stash machine, a remote control, and two pieces of long lasting tape.